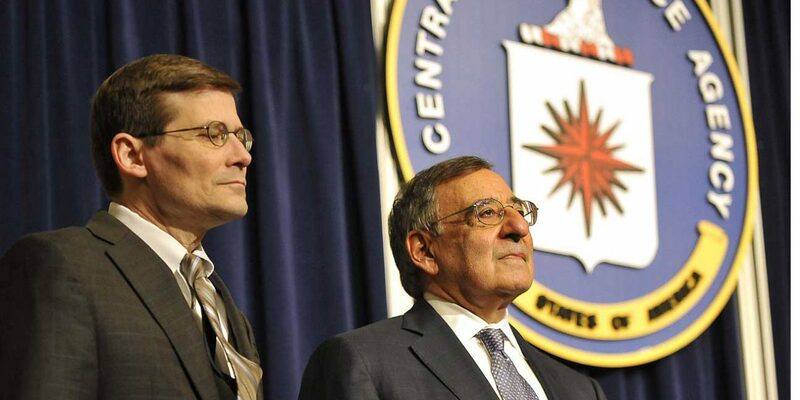 What ex-CIA Michael Morell doesn't want you to know about the 2012 Pentagon memo Trump has cited to charge that Obama knew his policies would fuel ISIS. The memo specifically names Ramadi and Mosul as among the first Iraqi cities to potentially fall victim to what it calls “unifying the jihad” under the banner of an Islamic State. The Islamic State of Iraq and al-Sham (ISIS) would capture Mosul in June 2014, and in a seemingly unprecedented blitz across Anbar, seize Ramadi on Sunday, May 17, 2015. Ironically, the intelligence report itself would hit public view in heavily redacted form on Monday, May 18, 2015—just as the world was receiving news of the fall of Ramadi. Soon after it was written, the 2012 IIR (Intelligence Information Report) landed on the desks of Congressional Intelligence Committee members, but more importantly would be used to argue policy at the White House—this according to the Defense Department’s chief of military intelligence at the time the memo was produced. The former number two at the CIA contradicts Flynn’s account of the intelligence report, writing that “it was simply wrong in its facts when it indicated that the West was supporting extremists in Syria.” Morell wants you to take his word for it: “The administration went to great lengths to ensure that any aid provided by the United States to the opposition would not fall into the hands of extremists, including the Islamic State and Al Qaeda.” Morell adds his voice and insider credentials to a chorus of others assuring the public that Trump is spouting debunked conspiracy theories in claiming the memo points to Obama and Hillary “support” for ISIS and Al-Qaeda in Syria. While Trump mustered this document to back his usually bizarre and hyper-sensationalized rhetoric on President Obama’s supposed ideological sympathies with Islamic extremism, the DIA document itself is quite substantive and worthy of public scrutiny and debate. Middle East analysts and academics have been discussing the document for the past year since its court-ordered declassification through FOIA , though it has remained largely outside of US media’s notice until recently. The Washington Post’s commentary, apparently uninformed of the history of reporting and analysis of the 2012 memo, refers to it as “relatively unimportant” and as mere “routine headquarters analysis” in spite of the publicly available confirmation that the terms by which it was obtained through FOIA reflect that it was used to brief Congressional Intelligence Committee leaders. The conspiracy theory got another boost when several news outlets reported on an interview that Mike Flynn, the director of the DIA from 2012 to 2014, gave to Al Jazeera in August 2015. The media reported that Flynn said it was a ‘willful decision’ by the administration to support extremists in Syria. Flynn’s seniority and his interview as reported by the media gave the conspiracy theory credibility. Morell elsewhere mentions “national security-related blogs,” which may be an indirect reference to my own August 2015 article, which could have caught his eye after WikiLeaks posted it on its media accounts, or after Glenn Greenwald cited it in an article defending Edward Snowden against intelligence officials’ charge that his leaks had aided ISIS (Morell in particular had been very vocal on this charge after the Paris attacks). Flynn appeared on Mehdi Hasan’s Head to Head to tackle of topic of “Who is to blame for the rise of ISIL?” soon after the DIA memo was featured in an explosive article in The Guardian (UK) which went viral, and immediately on the heels of a lengthy London Review of Books history of the Syrian conflict authored by the world’s foremost expert in modern Algeria and its Islamist movements, Hugh Roberts. Roberts seemed to anticipate the two extreme poles around which the intelligence report would be interpreted: on one side are the conspiracists who see evidence of the West’s direct and ongoing support of ISIS to sow chaos in Syria, and on the other are those who say it’s merely a low-level information report which never reached important levels within the intel community. This is precisely the false dichotomy which Morell and the Washington Post present—no doubt the inevitable result of a somewhat complex intelligence report entering partisan presidential politics (and of course just old fashion CIA lying and obfuscation). In the middle, showing more respect for the DIA, we could imagine something else: the possibility that, in 2012, American and other Western intelligence services saw Isis much as they saw Jabhat al-Nusra and other jihadi groups, as useful auxiliaries in the anti-Assad drive, and could envisage its takeover of north-eastern Syria as a helpful development with no worrying implications. Flynn: I hate to say it’s not my job … but that … my job was to … was to ensure that the accuracy of our intelligence that was being presented was as good as it could be. Flynn would later tell the New York Times that this 2012 intelligence report in particular was seen at the White House where it was “disregarded” because it “didn’t meet the narrative” on the war in Syria. He would further confirm to investigative journalist Seymour Hersh that Defense Department (DoD) officials and DIA intelligence in particular, were loudly warning the administration that jihadists were leading the opposition in Syria—warnings which were met with “enormous pushback.” Instead of walking back his Al Jazeera comments, General Flynn explained to Hersh that “If the American public saw the intelligence we were producing daily, at the most sensitive level, they would go ballistic.” Hersh’s investigative report exposed a kind of intelligence schism between the Pentagon and CIA concerning the covert program in Syria. In a personal exchange on his blog Sic Semper Tyrannis, legendary DoD intelligence officer and former presidential briefer Pat Lang explained to me that the DIA memo was used as a “warning shot across the [administration’s] bow.” Lang has elsewhere stated that DIA Director Flynn had “tried to persuade people in the Obama Administration not to provide assistance to the Nusra group.” It must be remembered that in 2012 what would eventually emerge as distinct “ISIS” and “Nusra” (AQ in Syria) groups was at that time a singular entity desiring a unified “Islamic State.” The nascent ISIS organization (referenced in the memo as ‘ISI’ or Islamic State in Iraq) was still one among many insurgent groups fighting to topple Assad. In fact, only one year after the DIA memo was produced (dated August 12, 2012) a coalition of rebels fighting under the US-backed Revolutionary Military Council of Aleppo were busy celebrating their most strategic victory to date, which served to open an opposition corridor in Northern Syria. The seizure of the Syrian government’s Menagh Airbase in August 2013 was only accomplished with the military prowess of fighters identifying themselves in front of cameras and to reporters on the ground as the Islamic State of Iraq and al-Sham. Public embarrassment came for Ambassador to Syria Robert Ford who reluctantly confirmed that in fact, yes, the US-funded and supplied FSA commander on the ground had personally led ISIS and Nusra fighters in the attack (Ford himself was previously filmed alongside the commander). This after the New York Times publicized unambiguous video proof of the fact. Even the future high commander of Islamic State’s military operations, Omar al-Shishani, himself played a leading role in the US sponsored FSA operation. Al Jazeera and rebel video footage with translations authenticated by the top Syria expert in the US, Joshua Landis, can be viewed here. The Washington Post’s interpretation of the DIA memo which includes the assertion that the “Obama administration, in fact, drew sharp distinctions between the rebel groups” naively glosses over the messier realities on the ground in Syria. Abstractions of the Situation Room are one thing, but as Brookings Institution scholar Charles Lister confirms in his latest book, The Syrian Jihad, ISIS largely made its military debut in Syria in 2013 in the context of a US backed operation: “And despite some contentious debate over whether the FSA or jihadists had been responsible for the victory, the then head of Aleppo’s opposition Military Council, Colonel ‘Abd al-Jabbar al-Okaidi, confirmed that ‘[ISIS] took the lead in taking over the airport. This group [is] a reality on the ground.’” (Charles Lister has elsewhere revealed that US advisors assisted the Al-Qaeda linked “Army of Conquest” in its 2015 takeover of Idlib from an “operations room” in Turkey). In spite of what Flynn calls a steady stream of accurate intelligence detailing the Al-Qaeda aligned nature of the opposition and its aim of establishing a “Salafist principality” or “an Islamic State” (DIA memo), a CIA program to arm the Syrian opposition moved forward anyway (the New York Times reports that the CIA program began in early 2012). Michael Morell himself recently acknowledged to NPR that “all of the weapons that were available led to the rise of ISIS.” But contrary to the guiding assumption of the NPR segment (that the intelligence community had failed to predict the rise of IS), the DIA memo and related testimony proves the US intelligence community knew exactly what would emerge, and that the White House was given this knowledge far in advance, yet proceeded in weapons delivery anyway. Vice President Joe Biden, in extraordinarily candid remarks about internal White House deliberations given in front of a Harvard audience, explained in October 2014 that while the external powers supporting the opposition (Biden specifically identified US allies Saudi Arabia, Turkey, and others) were claiming to support moderates, in actuality “the people who were being supplied were al-Nusra and al-Qaeda and the extremist elements coming from other parts of the world.” This was indeed, as Michael Flynn says, a “willful decision” as the intelligence “was very clear” and yet the White House proceeded in partnering with its “allies” in covert support of these groups anyway. No responsible commentary on the DIA memo suggests that this means administration advisors were sitting around openly talking about how to empower ISIS, but this was certainly the end result of a CIA program born of calculation that a militarized Sunni movement could prove useful in rolling back both the Assad government and what the DIA memo calls “Shia expansion.” Even the US’s closest Middle East ally, Israel, routinely reflects in the policy statements of some current and former officials a strategic vision that sees ISIS as the lesser evil when compared to Assad and Iran. Michael Morell himself confirmed in a 2015 Jerusalem Post interview that Israel cooperates with Syrian Al-Qaeda (Nusra) along the Golan border and took the opportunity to warn Israel with the following unambiguous words: “don’t make deals with them.” Most recently in Washington it’s been former CIA Director David Petraeus strongly advocating for the direct arming and training of Al-Qaeda in Syria to effect the West’s policies in the region. For ISIS and others these US and coalition supplied weapons became, in the words of former MI6 spy and British diplomat Alastair Crooke, the basis of a “jihadi Wal-Mart” of sorts. The CIA had never been in the dark as to this reality, but officials like Michael Morell can hide behind plausible deniability as Crooke notes, “The West does not actually hand the weapons to al-Qaida — let alone to ISIS…, but the system they’ve constructed leads precisely to that end.” Indeed, independent weapons research organizations like the UK-based Conflict Armament Research have documented Balkan origin anti-tank rockets recovered from ISIS fighters that are identical to those shipped in 2013 to Syrian rebel forces—weapons which were likely part of a joint CIA/Saudi covert program. It must be remembered that low level and less well connected American citizens have been arrested and put into solitary confinement under US anti-terror laws for entering Syria to fight with FSA and al-Qaeda factions. Yet Michael Morell and others were the very overseers of a covert program which resulted in the arming and equipping of these very groups. Trump is surely right about one thing: this administration, including the CIA and Michael Morell himself, has a lot to answer for concerning covert action in Syria. Lister, Charles. The Syrian Jihad: Al-Qaeda, the Islamic State and the Evolution of an Insurgency. (London: Hurst Publishers, 2015) p.159.